Holy Week is almost here! 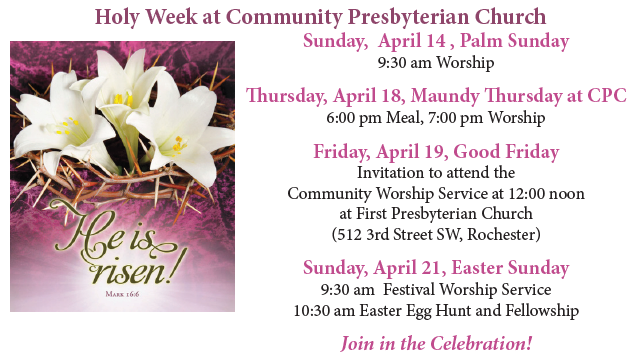 Click here to find out more about Community Presbyterian Church! Be sure to “like us on Facebook! Click here to go to the CPC Facebook page!